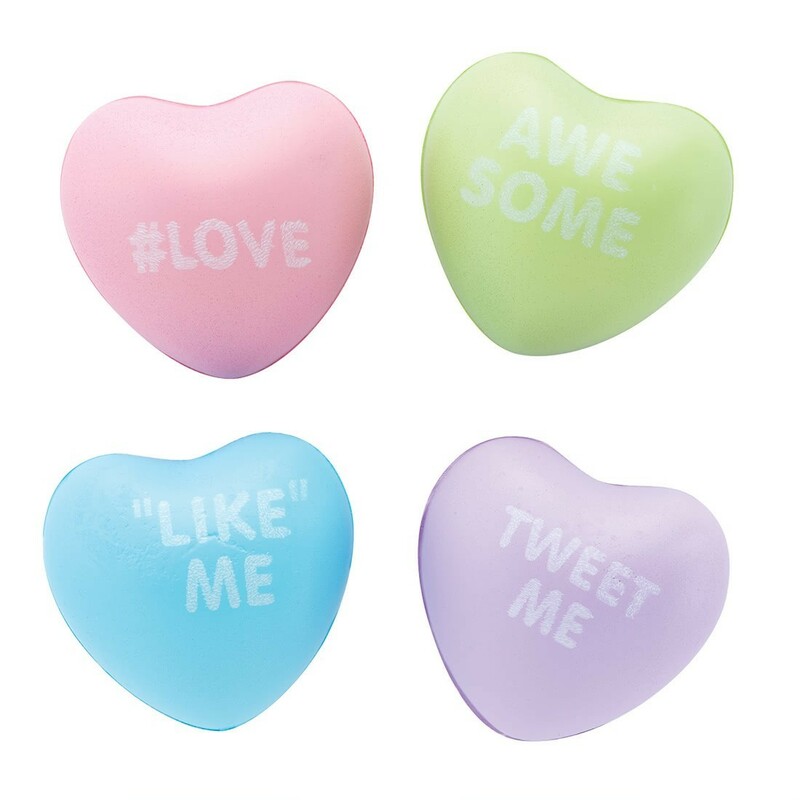 Squeezable heart-shaped stress toys with trendy sayings. Made of foam. Assorted pastel colors.